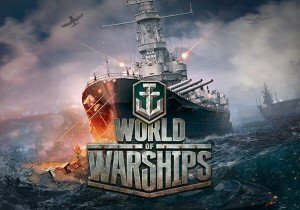 Today I spent a little time with Tony Jones, Senior Community Manager for World of Warships for an impromptu play session. The goal? Learning a little about submarines, and the current, new Halloween Event, Terror of the Deep. It will be available in the game over the next seven days alongside the earlier events, but Terror of the Deep is the important one. Submarines are not confirmed for PVP action just yet, but they were balanced for this PVE event test, and that’s important. You can only get so much data and feedback in house with your team; letting the players get their hands on new technology and seeing how it all fits together offers a new type of feedback. That’s why I think this event was put together, and it’s a lot of work to put an entirely new type of vehicle into a vehicle-based game, especially so long after the initial launch. So with this event, we get to try potentially new tech in submarines, and we get to do battle with Rasputin. Will we finally defeat him once and for all? I have a feeling he’ll be like Dr. Wily and find his way back next year. The ultimate goal of Terror of the Deep is to defeat Rasputin and his forces, and his ship is no joke. It’s a mighty vessel, with plenty of HP and friends to spare. But this is a mission with six submarines, there are no destroyers, aircraft carriers, et cetera in this PVE mission. So the ultimate goal very well could be to see how these subs handle in the hands of the players. They informed me that the response to them thus far has certainly been positive, but there’s always going to be someone who disagrees or hates them or is convinced that submarines will absolutely ruin the game. These submarines also do not necessarily represent how they could look and play when/if they go live. All players start with the Barracuda, piloted by Victor F. Einstein, but there are others to unlock, each with their own strengths, weaknesses, and loadouts. There’s the Zipper Sub (Mina Hurray), Gerfalcon (Ivan K. Ulibin), Seelowe (Lazarus Centurio), Killer Whale (Klaus V. Teslau). The submarine I saw was the Gerfalcon, which has a particularly narrow line for their torpedoes. That’s another thing that I think is interesting. Each has its own width for their cone to fire torpedos, and each has a different amount of time it can spend underwater. Submarines appear to require a great deal of skill, some more, some less than the others. When firing a torpedo, you have a targeting indicator that gives a rough idea of where the torpedo will land. There’s a second cone that you point, to actually release the torpedo itself. While the submarines are pretty fragile while above water, as soon as they get beneath the waves, most attacks will be negligent at best. This sounds pretty overpowered, but take heart: They have a weakness or two. The first being depth charges, which will, without a doubt obliterate the submersible. They also have a limited time that can be spent underwater, so if the submarine captain goes underwater too early, they could waste their defensive time. This is just the first step. I wouldn’t imagine that submarines will arrive anytime soon because the next step would be to figure out how they would be balanced in PVP. You don’t want five submarines cruising around, wreaking havoc in ranked battles. Well, maybe you do. I don’t judge. Honestly, I love the concept. The animation for when submarines rise and fall beneath the water is beautiful, and while I’m absolutely wretched at World of Warships (for the time being. Maybe I should practice? ), they are certainly outside of my skill to be successful piloting it. But conceptually, I absolutely adore them. This is a fun, unique event that a lot of hard work went into. I also think it’s a great way to show off what “can” be in the game. I’m glad they took the time to show off this mode; I have been seeing video after video and news post, but seeing it live really shows off what the World of Warships team can do. Though it may be months before submarines show up (if they do at all), with suitable time in testing, getting feedback, I think that it would really shake up the aquatic combat scene. Adding a new dimension to the game will create some truly fascinating tactical options, strategies, and team compositions. Wargaming has something very exciting here on the horizon. Nike is the latest addition to the SMITE cast, and she joins the group of already impressive/terrifying warriors.